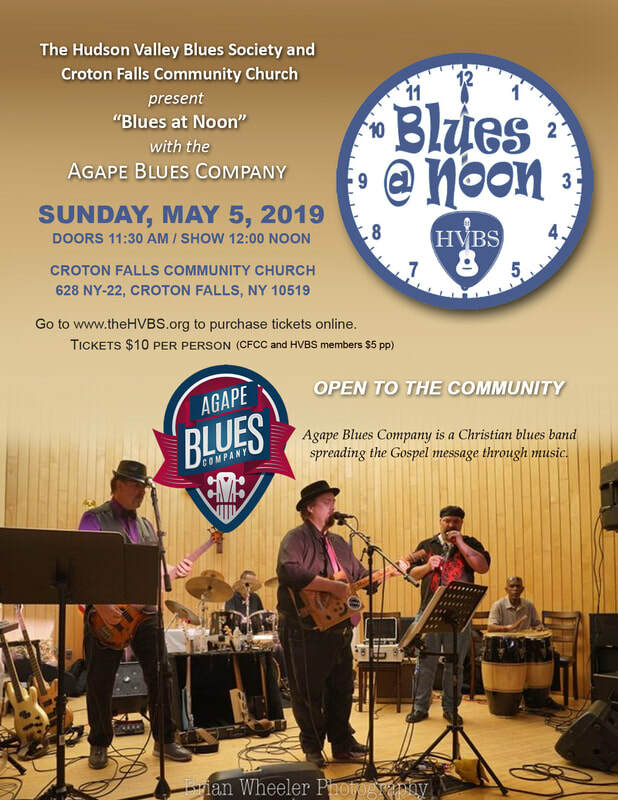 The Hudson Valley Blues Society and Croton Falls Community Church present “Blues at Noon”, an afternoon of blues music with the Agape Blues Company. Established in 2012, the Agape Blues Company is the premier gospel blues band serving the New York capital region. Their sound can be classified as a mix of Chicago and Texas style blues. They play many original songs, as well as classic blues songs with modified lyrics, to bring a message of joy and hope.